Based on 25 years of experience we are confident to offer a Smallworld upgrade to version 5 at a fixed price of $74,999.99. This is a limited time offer. Extensive experience with CST, Design Manager, PNI, SOMS etc. Time slots are filling up fast! 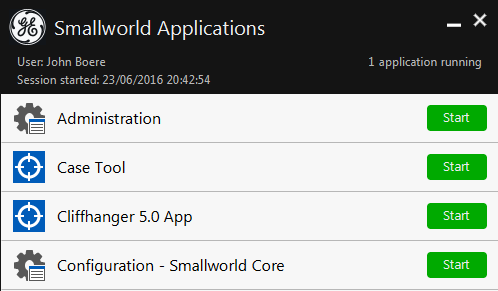 Over the years (25 to be exact) we have maintained and upgraded Smallworld GIS applications starting at version 1. Did you know that Smallworld 1 did not have a CASE tool, and all data model changes had to be written in Magik? Did you know that the Cambridge folks that invented Smallworld initially considered Lisp, but then created Magik? And, according to the General Manager of Global Sales at GE, the team that John [Boere] worked on delivered the very first Smallworld installation outside of the UK, and this app is still in operation today at Gelsenwasser, Germany. Fixed price offer involves upgrade from GE Smallworld version 4.3 to 5.0. Currently first available project start date is September 12, 2016. Offer excludes on-site presence and travel expenses. We believe we can provide this to most, if not all, Smallworld customers. However, we know of some of you out there that have even customized the power buttons on their servers and coffee makers. You know who you are. So, we reserve the right to ask for more details on your implementation before putting a final offer on paper.